I am looking to turn my 96 blazer into a camping vehicle only 99k miles but some minor rust on bottom. It has only been used about 3k miles in the past 5 years. New Tires. 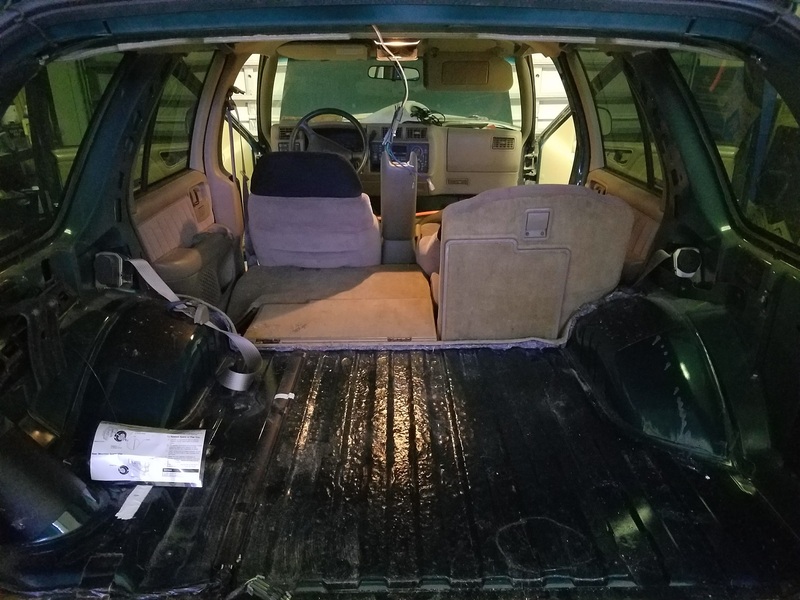 I took out the bad carpeting in the back currently have taken out all the back trim pieces. I planned on making a wood box with pull out drawers in the back. I am looking to see what options i might have for painting the interior trim pieces with a plastic spray paint or truck bed liner. Which would work best if wanting to paint the dashboard as well. Also putting truck bed liner on the exterior trim pieces as well. Any thoughts and ideas are appreciated. Would like to do some good modifications that wont break the bank and make it more functional. More pictures to come later today. Any advice or ideas is appreciated. you're in the right section ("Builds") Just start reading other member's threads and decide what's right for you and your rig. Personally, I have spent many hours there and come up with awesome ideas to duplicate or modify - for my 96. Thanks i have been doing a lot of research lately have been a member on this board since 2013 first time i have posted. Mostly this blazer has just been sitting around and used for camping. I plan on being active for this summer. I intend to repaint and redo as mush as a guy with a garage shop and free time can. Will be posting alot of pictures and looking for as much feedback as i can. Thanks for reaching out.